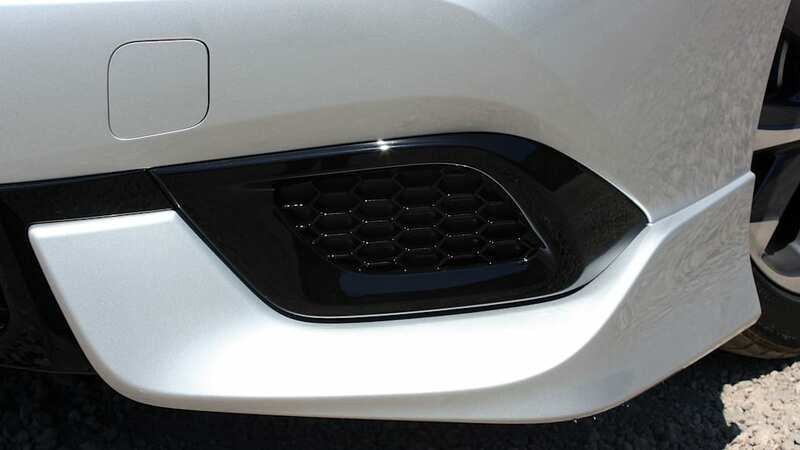 The 2016 Scion iM can't launch soon enough. 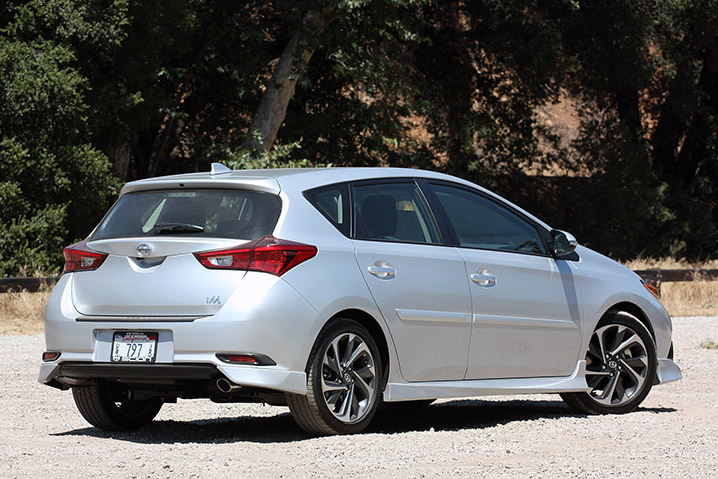 It's a fully competitive, well-rounded hatchback. It's functional. It's cute. And it's priced under $20,000. 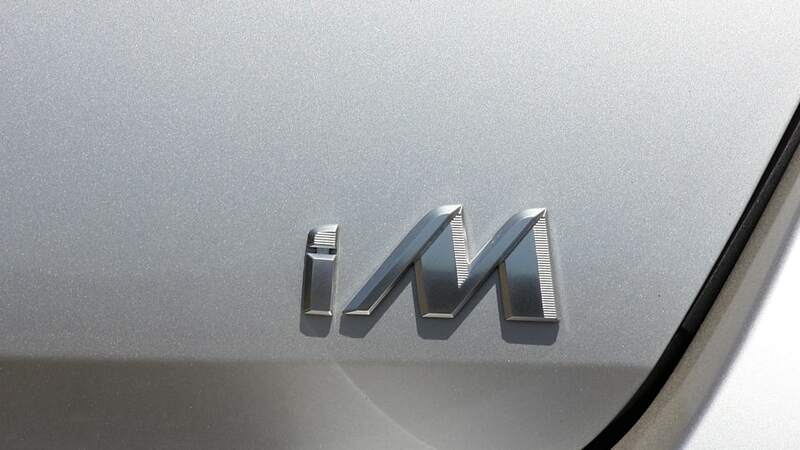 But perhaps more importantly, the iM represents a big breath of life into the increasingly less relevant Scion brand. 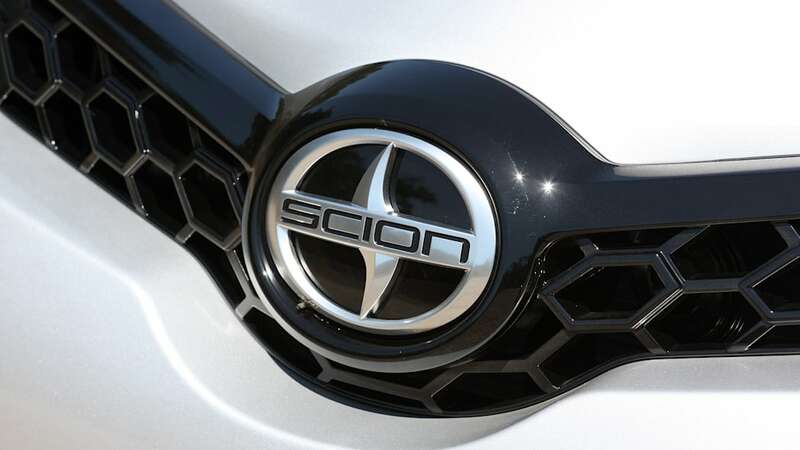 In 2006, Scion moved 173,034 cars in the United States with only three models – the xA, xB, and tC. 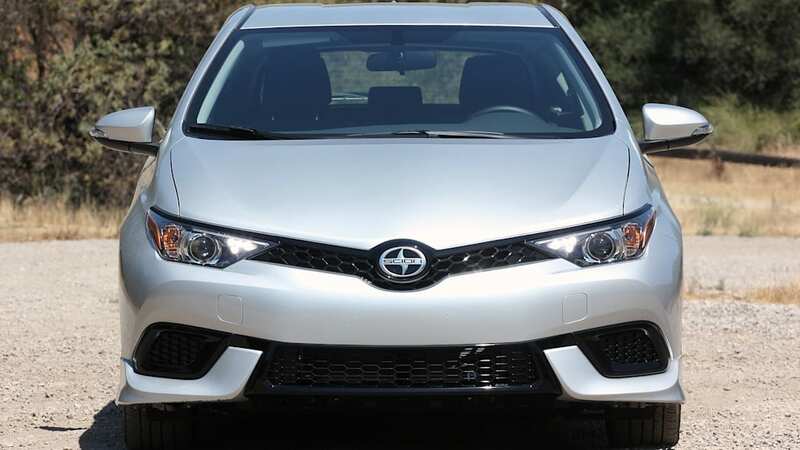 Fast forward to 2014, Scion moved just 58,009 units in our market, and that's with a five-car lineup. Yes, the original, boxy xB posted better sales numbers all by itself in 2006 than the entire Scion range did in 2014. Midway through 2015, the situation is worse. 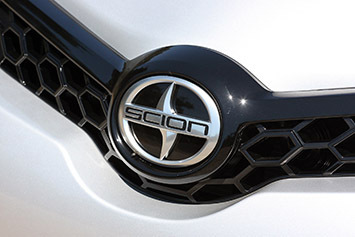 Scion sold 21,093 units through the end of May, compared to 26,024 during the same period in 2014. The iQ is dead. The xB and xD are on their way out. 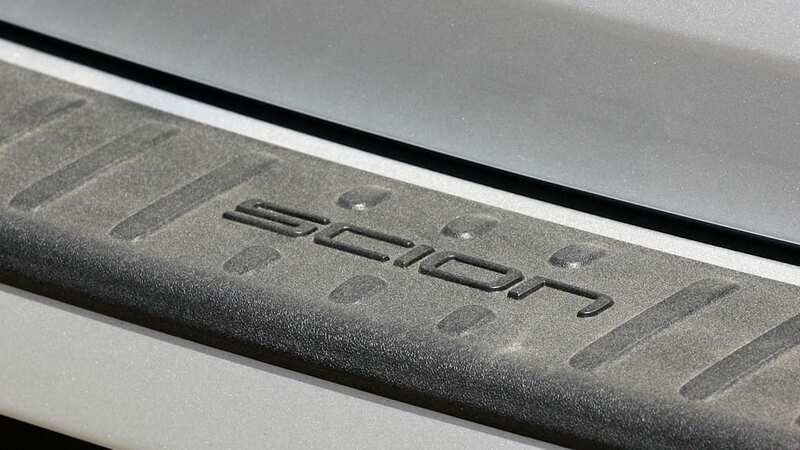 Now more than ever, Scion desperately needs fresh metal in its showrooms. 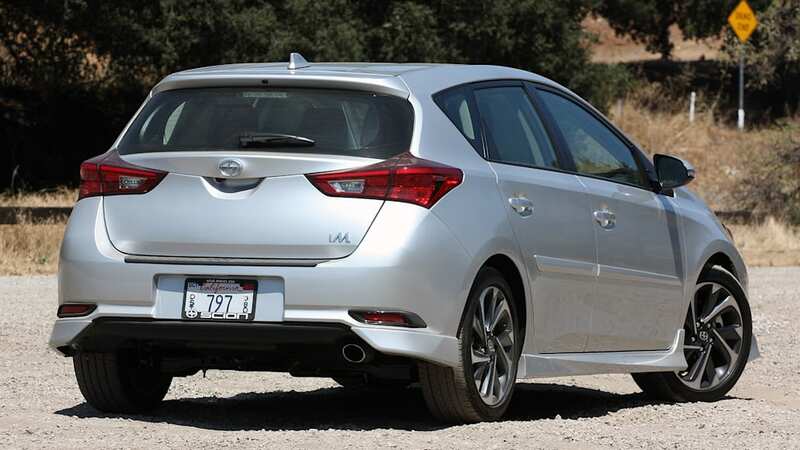 Enter the iM and, to a lesser extent, the 2016 iA sedan that arrives at the same time. 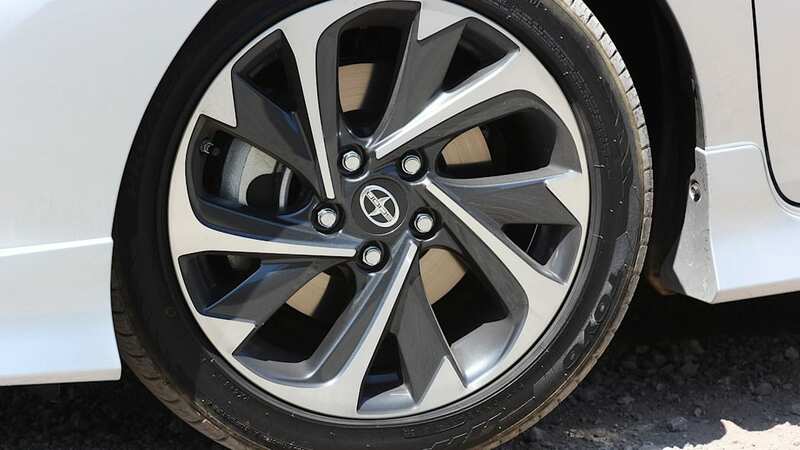 The iM is a more conventional Scion. But that's a good thing. The automaker recognizes that it needs cars that more appropriately play in the mainstream in order to attract a broader spectrum of customers. 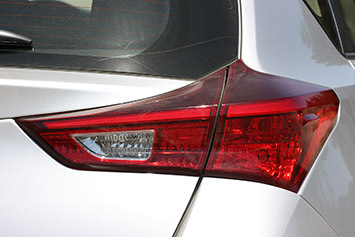 As such, the iM is sized to fit in with other C-segment hatchbacks. 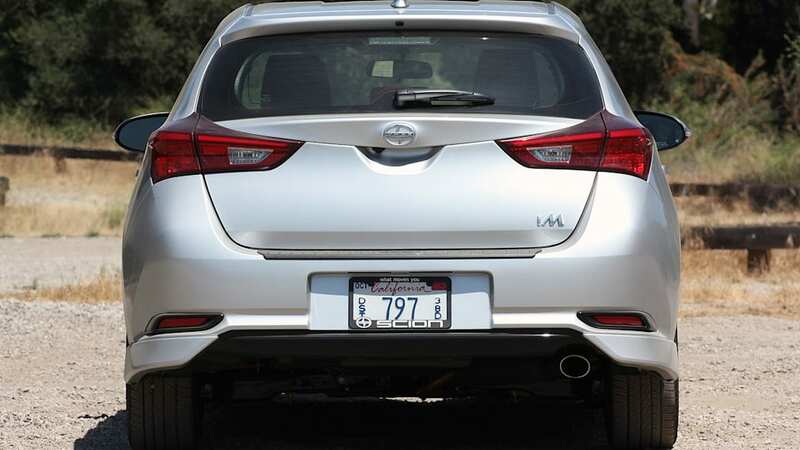 At 170.5 inches long, 69.3 inches wide, and 55.3 inches tall the Scion is longer than a Volkswagen Golf, but slightly narrower and shorter. Scion loads the iM up with a good amount of standard equipment. Like Scion's past offerings, the car only comes one way. Every iM starts as the car you see here (well, except for color), with 17-inch wheels and a body kit that's more sporty than conservative. 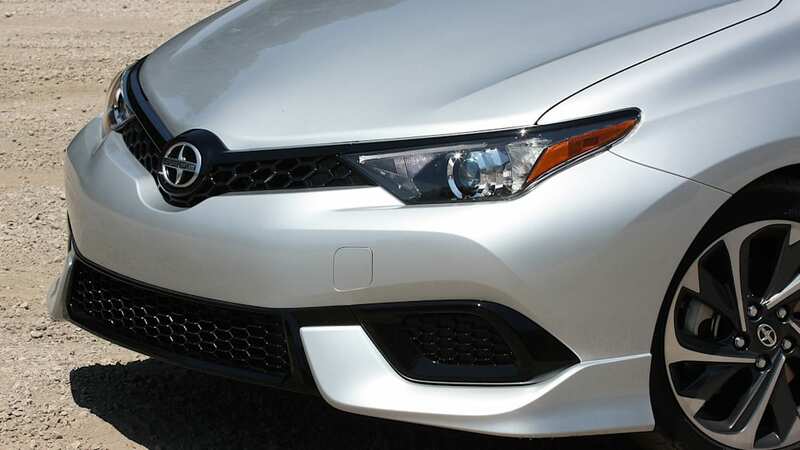 It looks tacked-on, though – think last-generation Corolla S. Still, on the road, the iM is handsome, and looks good in brighter, more vibrant colors. It's not as sculpted or pretty as a Mazda3 or Ford Focus, but the iM isn't a bland, uninspired two-box shape. 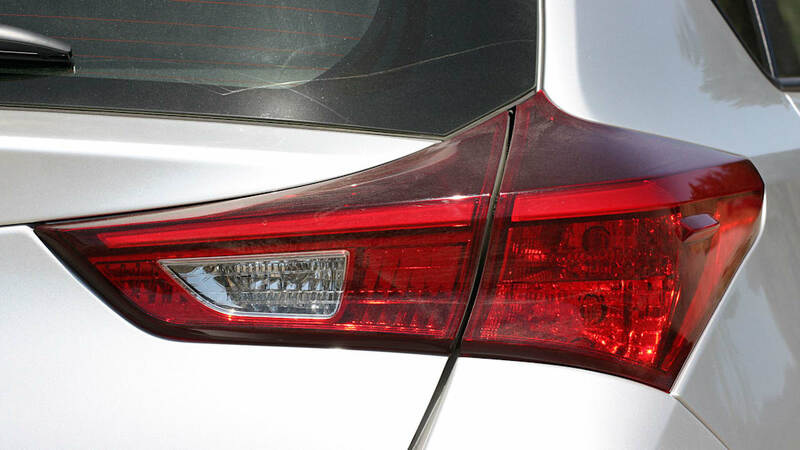 And if it looks familiar to your eyes, that's because it already exists as the Toyota Auris overseas. 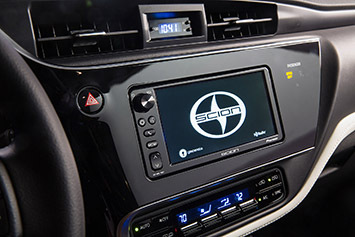 With only one spec on offer, Scion loads the iM up with a good amount of standard equipment. 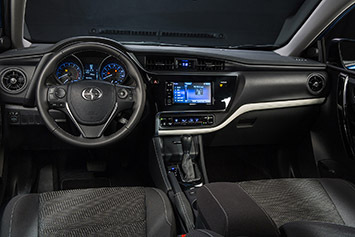 Every iM rolls off the line with dual-zone, automatic climate control, auto-on/off headlamps, and a seven-inch touchscreen display for the Pioneer audio and Toyota Entune-based infotainment system. That's all well and good, but it also means there are no major upgrades available. You can't get a sunroof or xenon headlamps. Same goes for leather upholstery. Don't even think about heated seats. 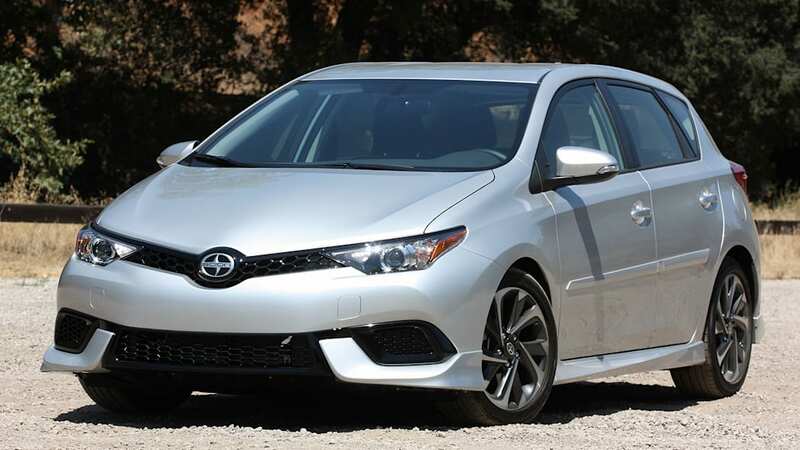 There's nothing to really separate the Scion iM from the competition in terms of interior refinement or packaging. Still, the interior is an acceptable place to be; let's call it par for the course. 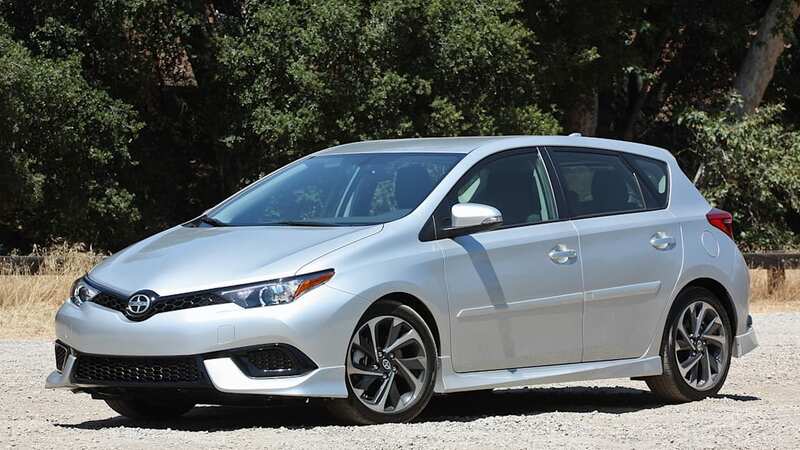 There's nothing to really separate the Scion iM from the competition in terms of interior refinement or packaging, but four adults can fit comfortably (five in a pinch), with room for all their stuff in the cargo area. Up front, the cloth seats are cushy enough, but lack side support. We'd also really like a telescopic steering wheel – it's still strange that in 2015, cars don't have this functionality as standard. At least the wheel is wrapped in a nice, faux leather – as is the dashboard. The iM has a relatively tall beltline, and that especially comes through at the front of the cabin. The center stack is completely vertical, with a tall dash line that spans the full width of the car. That said, there's a mix of piano black trim and cream-colored accenting, so the front space looks modern. 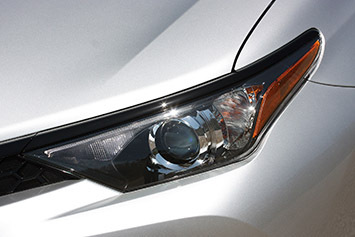 It all reminds us of the new Corolla, for better or worse. 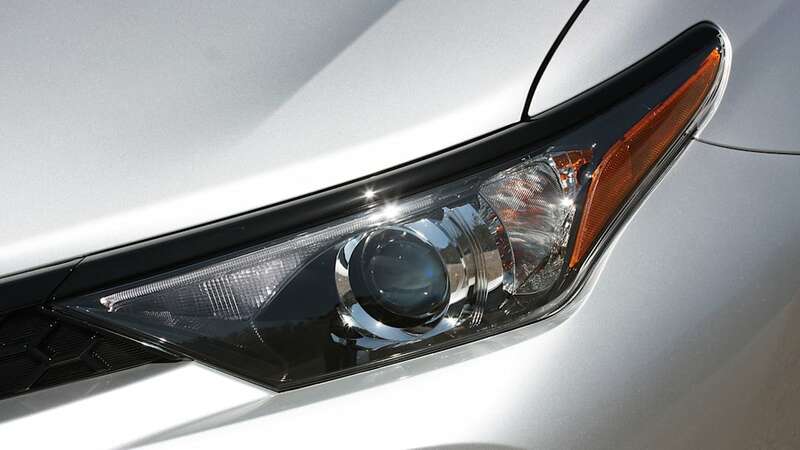 Despite only coming one way, Scion will offer a number of dealer-installed accessories. All-weather floormats, body graphics, a navigation upgrade, interior accent lighting, and more will all be offered in due time. There's even some performance stuff available through the TRD catalog, including lowering springs, a sway bar, air intake, and more. 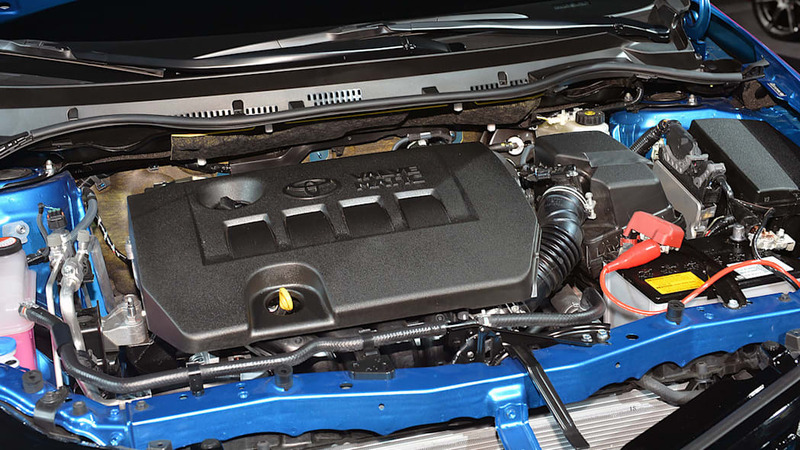 Mono-spec means there's only one engine on offer: Toyota's 1.8-liter inline-four with 137 horsepower at 6,000 rpm and 126 pound-feet of torque at 4,000 rpm. 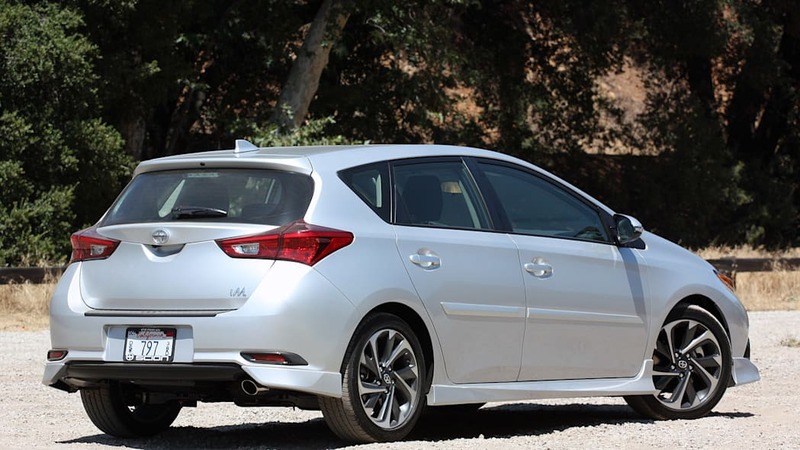 The output is enough to move this 2,960-pound hatchback, but the engine response is pretty uninspired. It takes a while to hit the powerband, and the 1.8 doesn't enjoy being revved. The iM isn't exactly a car that begs to be driven hard. The standard six-speed manual transmission lets you keep the weak motor on boil, but it's a bad setup. The clutch has a nice weight, but a vague engagement point. The gearbox itself is pretty sloppy, with long throws. It's like every other manual transmission we've tested in a Toyota/Scion product (save the FR-S): dull. Of course, only 10 percent of iM shoppers are expected to want the manual 'box; the majority will opt for the continuously variable transmission. 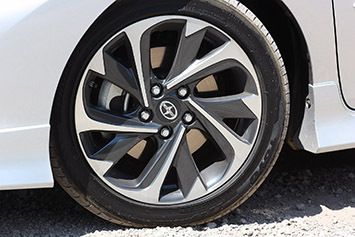 The CVT works just fine – no sour points here – and it's good for up to 37 miles per gallon on the highway (30 city). There's a sport programming that'll keep the tach needle in the higher rpm range, but honestly, just leave the engine alone. The iM isn't exactly a car that begs to be driven hard. The steering is light and vague on center. You get a little more feeling while turning, but we still want more communication through the wheel. On the canyon roads around Malibu, CA, the iM exhibits body roll and a willingness to understeer in corners, but it's not unexpected. 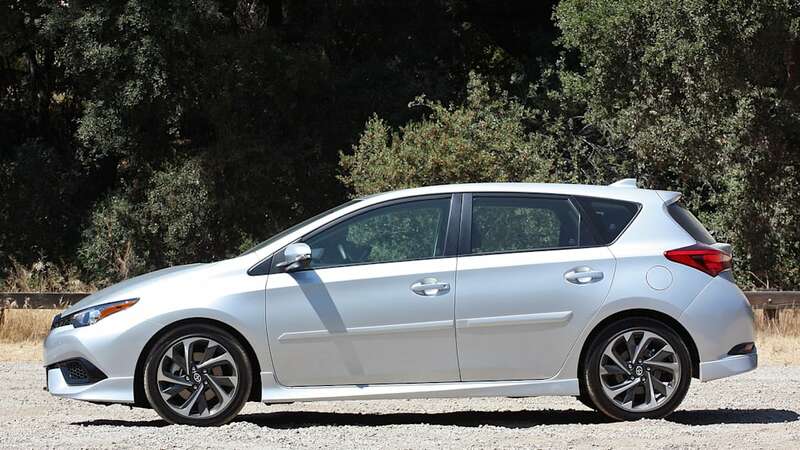 Our six-speed manual iM has the TRD lowering spring accessory, so it feels a little more planted than the standard, CVT car, but still exhibits milquetoast handling characteristics. We wish it were more like the Scion tC with which the iM shares a platform. 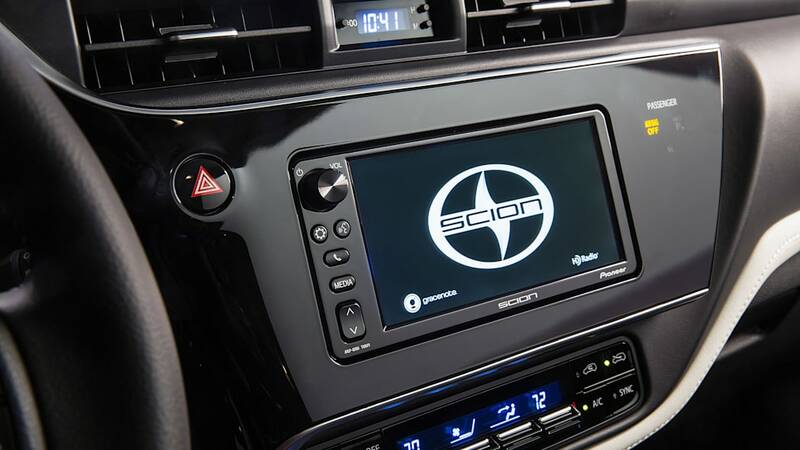 Mainstream sells, and right now, that's exactly what Scion needs. Given this car's mission, and its Toyota engineering, it's no surprise that the iM is no great steer on engaging roads. But in the city and on highways, it's perfectly fine. The suspension is forgiving over rough pavement and potholes. Visibility is good in every direction. The iM makes a reasonable commuter car or everyday driver for the non-enthusiast. If you're looking for driving fun above all, go buy a Mazda3. Scion's mono-spec configuration and no-haggle pricing are big wins for the iM. Off the line, with the manual transmission, the iM costs $19,255, including $795 for destination. With the CVT, the price jumps to $19,995. You're getting a lot of car for under $20,000, especially considering competitors like the aforementioned Ford Focus, Mazda3, and Volkswagen Golf can get up into the mid-$20,000 range. 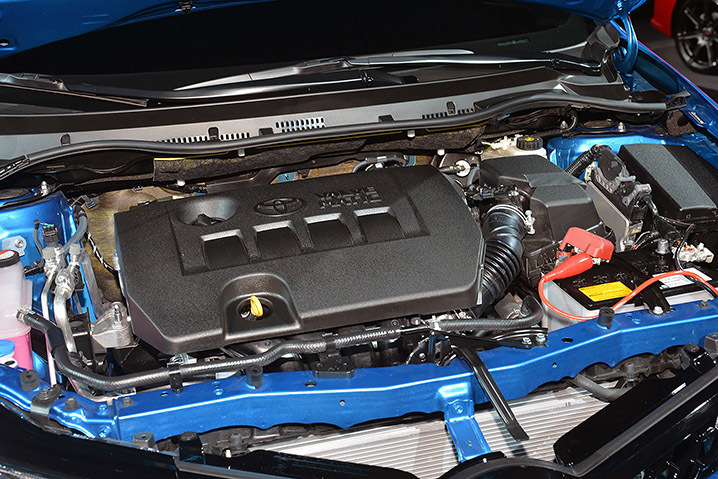 Of course, that extra cost is worth it for many consumers – for the extra coin, the iM's competitors offer a lot more choices in terms of powertrains and features. Better fuel economy, too. The iM falls somewhere in the middle of the big C segment. 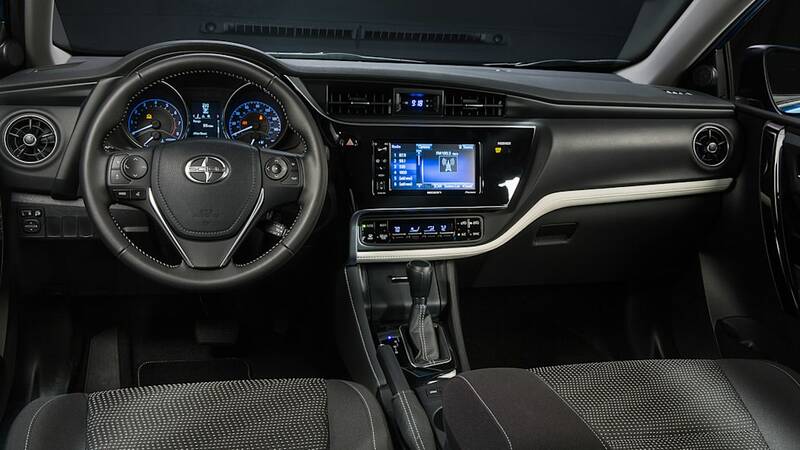 It may not be best-in-class at any one particular thing, but the Scion looks good, is nicely equipped right out of the box, and is priced right. It's far more mainstream than anything Toyota's sub-brand has ever done before. But in this class, mainstream sells, and right now, that's exactly what Scion needs.